Planning a trip to Florence? 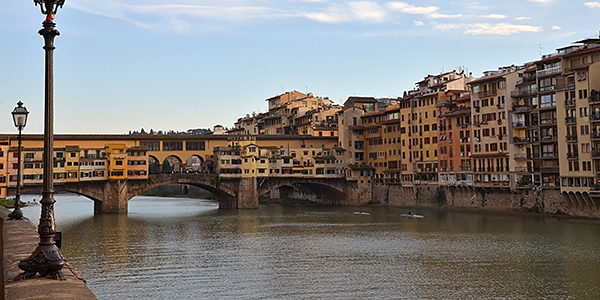 Don’t forget to pre-book a parking space – why not let ParkVia help you find the best option for parking in Florence. Entering Florence city centre by car is difficult unless you have special permission – due to congestion charge laws and Florence’s ZTL (Limited Traffic Zone). Several of the car parks ParkVia has available are inside the ZTL area, and are only accessible through pre-booking. So if you want to park close by the main attractions to reach them on foot, simply pre-book your space and gain special entry to the ZTL zones. For spaces outside the ZTL, it’s also best to pre-book a space to save yourself time searching, and to save money. Simply enter the dates and times you’d like to park, and check prices and availability for ParkVia’s car parks in Florence. Offering parking located right in the city centre, you can park just a few steps from the Duomo and Ponte Vecchio, and just five minutes from Florence Santa Maria Novella train station.